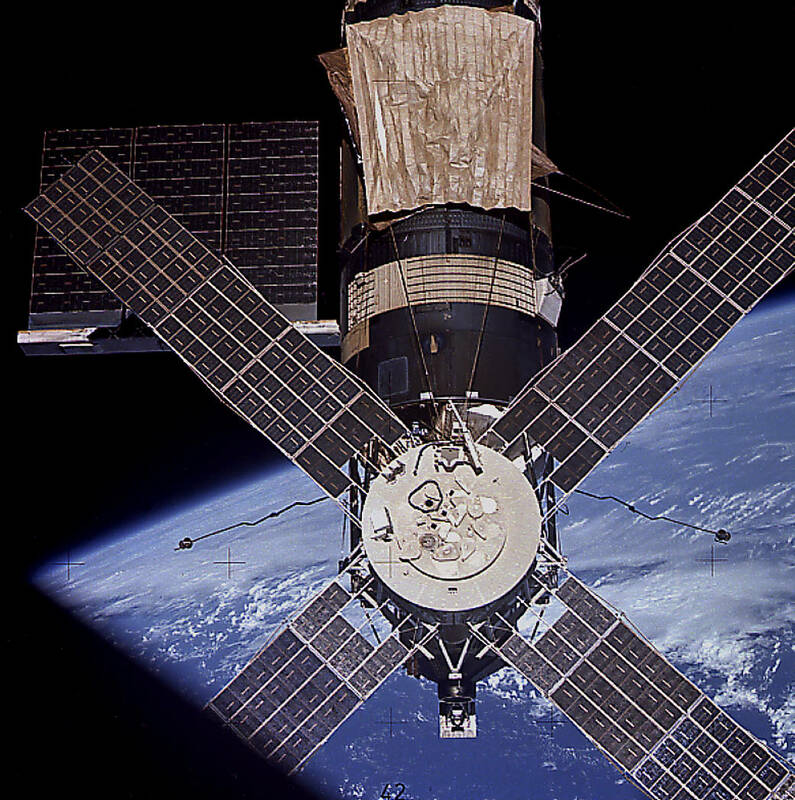 The Skylab (S-054 X-ray telescope) was a Smithsonian Astrophysical Observatory (SAO) experiment on the Apollo Telescope Mount (ATM), which was NASA’s first full-scale manned astronomical observatory in space. The UV spectroheliometer (S-055) operated for 9 months after launch in May 1973 involving several teams of astronaut-observers. It made detailed ultra-violet observations of coronal holes, prominences, flares and active regions. 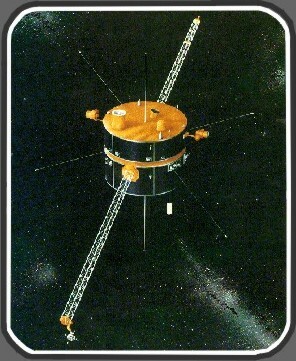 The Solar and Heliospheric Observatory (SOHO) spacecraft was launched on December 2, 1995. With some instruments still operating today, it orbits the L1 Lagrangian point, a point about 1 million miles from Earth, located between the Earth and the Sun. One of SOHO’s instruments was the Ultraviolet Coronagraph Spectrometer (UVCS) instrument. UVCS was designed at SAO to study the outer atmosphere of the Sun and its transition into solar wind that constantly flows past the Earth. The primary target was the study of coronal holes, coronal streamers, and the boundary regions between coronal holes and streamers. It provided an identification of solar wind source regions, while also mapping the sources of solar-wind streams. The Transition Region and Coronal Explorer (TRACE) was a successful Extreme Ultra-Violet (EUV) telescope with a singular mirror divided into four different segments. It launched on a rocket on April 2, 1998 and was originally designed to fly for eight months, but successfully operated for 13 years before being shut down in favor of AIA in 2010. The High Resolution Coronal Imager Sounding Rocket (Hi-C) is the highest resolution UV telescope ever to fly, and captured the highest resolution extreme ultraviolet images of the hot solar corona ever taken. Its first flight in 2012 was the most successful scientific rocketry experiment in the history of NASA. 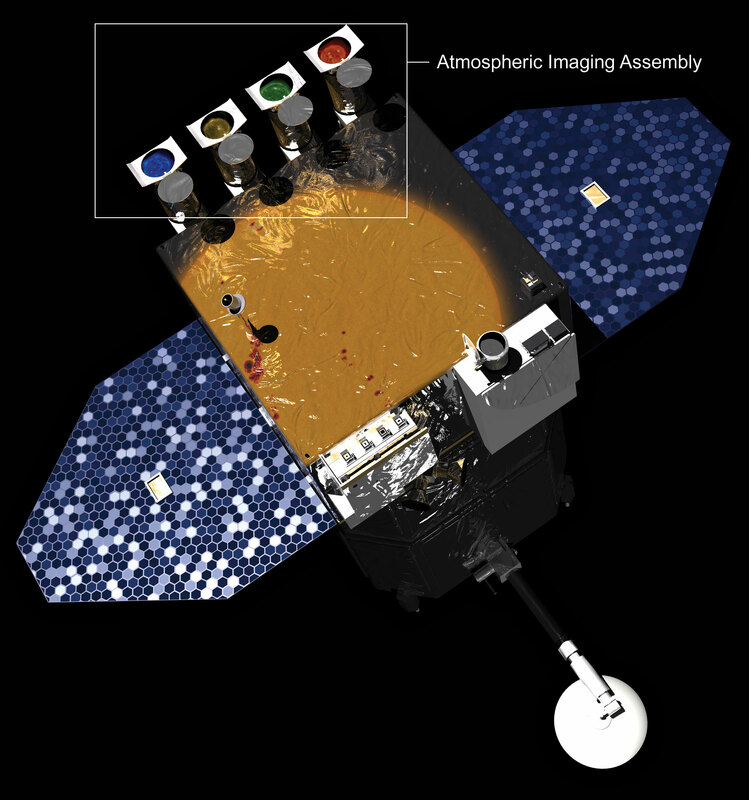 The Solar Dynamics Observatory (SDO) is a sun-pointing semi-autonomous spacecraft that allows nearly continuous high-resolution observations of the Sun. The project aims to understand the physics of solar variations that influence life and society through research focused on Sun variation and its impact on global change and space weather. The Atmospheric Imaging Assembly (AIA) is a collection of four normal incidence telescopes, or telescopes with a nearly perpendicular angle of reflection. These telescopes, on the Solar Dynamics Observatory, look at the Sun 24 hours a day. The 4 telescopes that make up AIA are each paired with two filters in different wavelength bands, for a total of 8 different "views" of the sun. AIA was designed to study the Sun’s dynamic magnetic field and the coronal response to it by providing these multiple near-simultaneous high-resolution full-disk images of the corona and transition region. The instrument focuses on the evolution of the magnetic environment in the Sun’s atmosphere, and its interaction with embedded and surrounding plasma. AIA is advancing our understanding of the mechanisms of solar variability and of how the Sun’s energy is stored and released into the heliosphere and geospace. The primary goal of the Interface Region Imaging Spectrograph (IRIS) explorer is to understand how the solar atmosphere is energized. 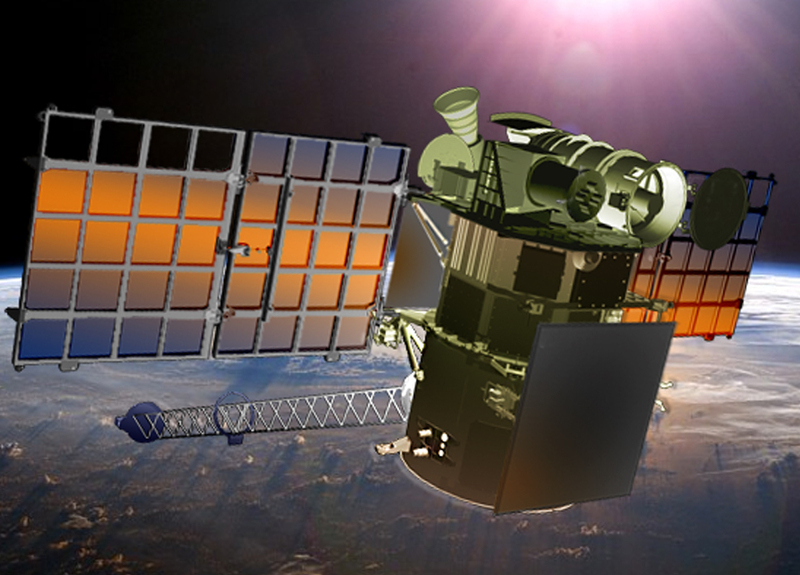 IRIS obtains UV spectra and images with high resolution in space and time focused on the chromosphere and transition region of the Sun, a complex interface region between the photosphere and corona. In this region, all but a few percent of the non-radiative energy leaving the Sun is converted into heat and radiation. Here, magnetic field and plasma exert comparable forces, resulting in a dynamic region with complex physics. Lockheed Martin designed the IRIS Observatory and manages its mission operations in Palo Alto, CA. The telescope was built by SAO. 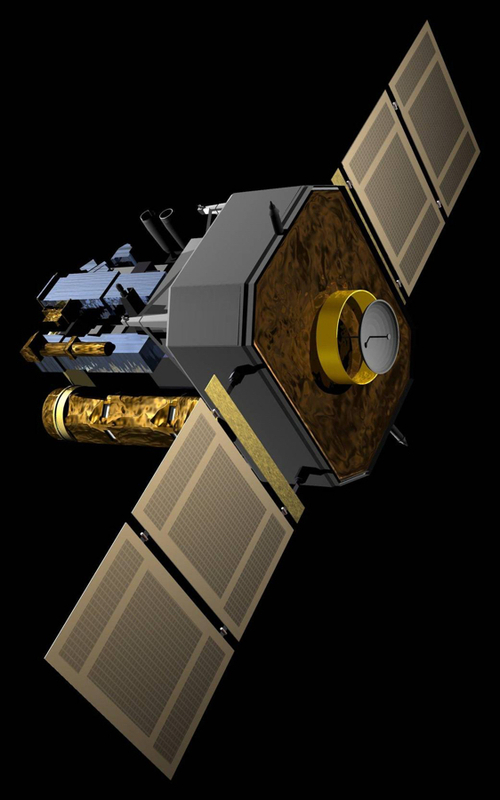 The Hinode X-ray Telescope (XRT) is an orbiting high-resolution grazing-incidence telescope. 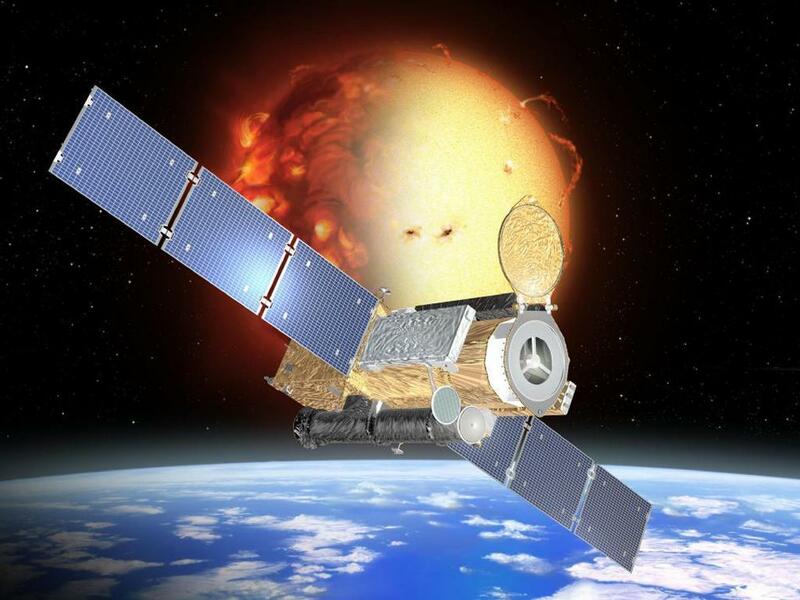 A primary goal of the Hinode XRT is to observe the plasma that is the result of the dissipation of the Sun’s magnetic energy as solar flares and pico-flares, coronal heating, and coronal mass ejections. High-resolution soft X-ray images reveal the topology of solar features and their evolution, allowing us to observe the energy buildup, storage and release process in the corona for any transient event. One of the unique features of XRT is its wide temperature coverage. 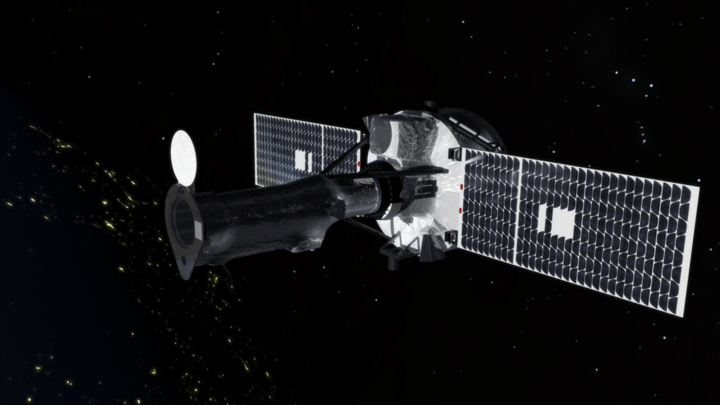 XRT was designed and developed by the Japan-US collaboration between SAO, NASA MSFC, JAXA, and NAOJ. It was launched in 2006 and remains productive to this day. AIR-Spec will take a step toward the direct observation of coronal fields by measuring plasma emission in the infrared at high spatial and spectral resolution. During the total solar eclipse of 2017, AIR-Spec will observe five magnetically sensitive coronal emission lines. The instrument will measure emission line intensity, width, and Doppler shift, map the spatial distribution of infrared emitting plasma, and search for waves in the emission line velocities. AIR-Spec consists of an optical system (feed telescope, grating spectrometer, and infrared detector) and an image stabilization system. 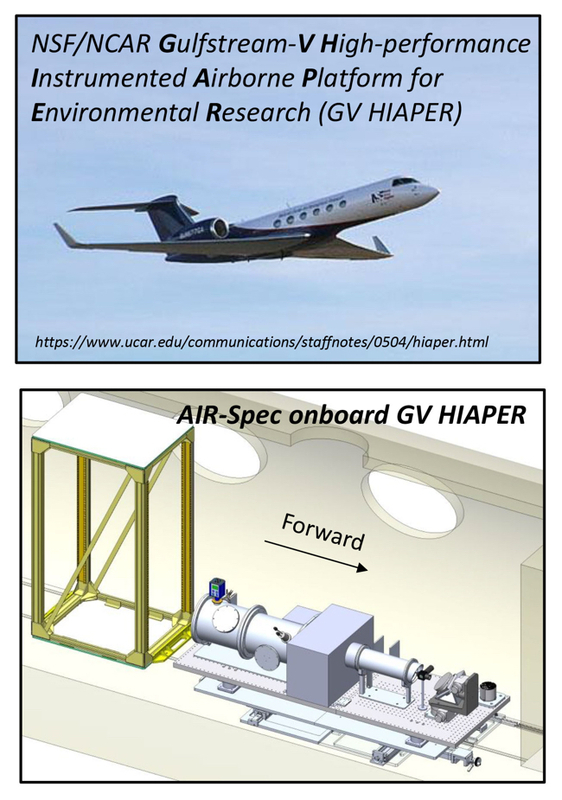 It will ride on the HIAPER Gulfstream GV Earth Observing Laboratory, a unique aircraft built for scientific research. Wind is a spacecraft deployed to study radio waves and plasma that exist in the solar wind and in the Earth's magnetosphere. Wind orbits the Sun at the L1 Lagrangian point, a point about 1 million miles from Earth which enjoys an uninterrupted view of the Sun, where it has been continuously observing the solar wind since 2004. SAO operates the Solar Wind Experiment (SWE) Faraday Cups, which are instruments that directly measure the composition and structure of the solar wind. 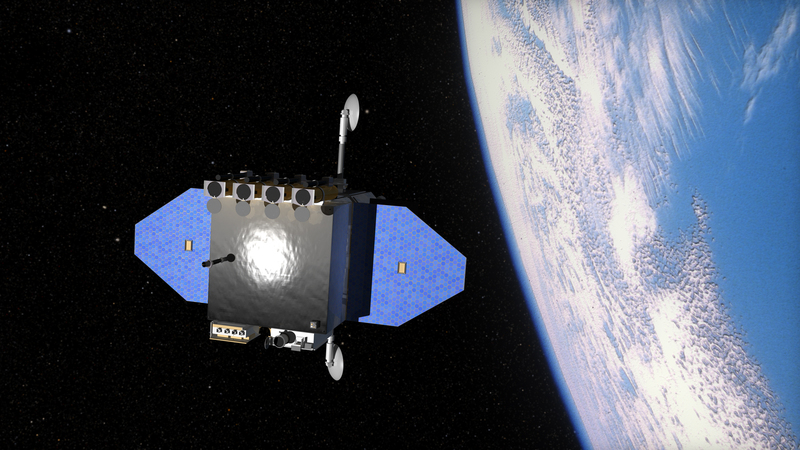 Deep Space Climate Observatory (DSCOVR) is a NOAA Earth observation and space weather satellite, launched on February 11, 2015 and now orbiting the Sun at the same point as the Wind spacecraft, the L1 Lagrangian point. 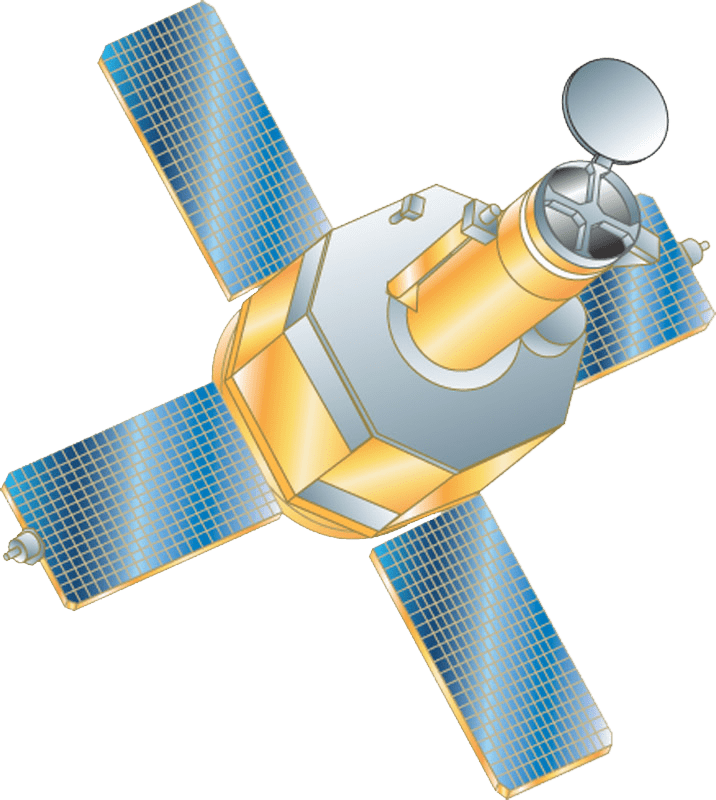 DSCOVR’s mission is to provide real-time measurements of weather conditions in space and to provide advance warning of imminent weather fronts that induce geomagnetic storms. In collaboration with NOAA and NASA, SAO maintains the PlasMag Faraday Cup instrument, DSCOVR’s “weather vane,” which measures the wind speed, temperature, and pressure in space. 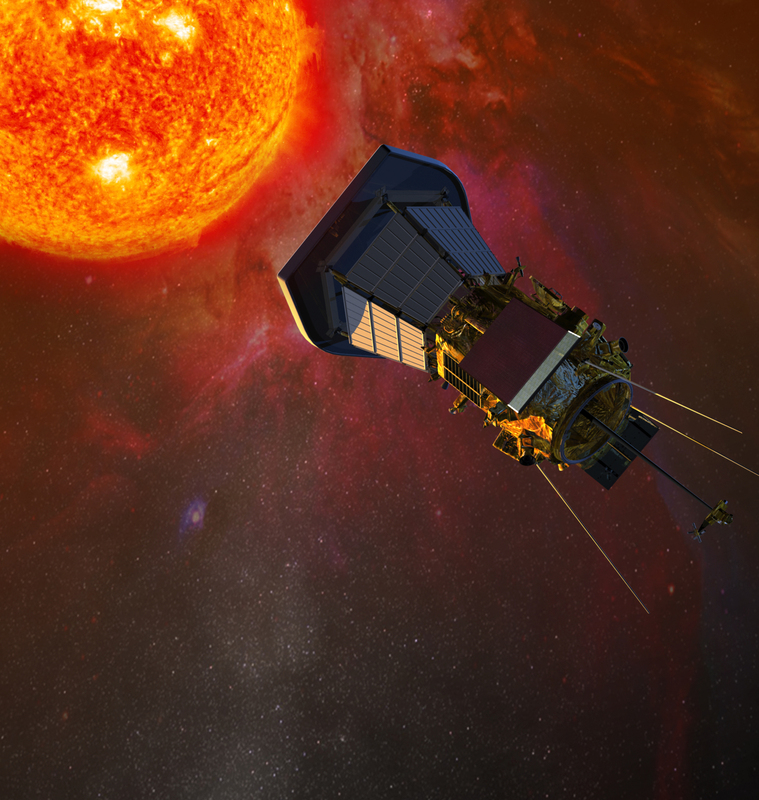 On NASA’s mission to touch the Sun, the SWEAP Instrument Suite will measure the solar wind to understand its evolution from the solar atmosphere through the solar system. It will accomplish this by measuring the protons, helium ions and electrons which make up the bulk of solar wind, sending this data back to us from near the surface of the Sun, right before the intense solar heat disintegrates the instrument. The mission is scheduled to launch in 2018. The Marshall Grazing Incidence X-ray Spectrometer (MaGIXS) is a high-resolution X-ray spectrometer. MaGIXS employs a new mirror technology using nickel shells that are replicated on a mandrel to generate a fairly high resolution X-ray telescope which in turn feeds an innovative X-ray spectrometer. Though the telescope itself is a normal incidence telescope, the spectrometer uses two parabolic shells to generate a converging beam. A grating is placed in the converging beam to form the spectral image.